This project (supported by the Heritage Lottery Fund) aims to develop a digital archiving platform to support the digitisation, development and interpretation of more than 10,000 items that were left in the spontaneous memorials in St Ann’s Square and elsewhere in Manchester after the Arena attack on 22nd May 2017. These tangible items and the stories and testimonies attached to them constitute an ongoing, dynamic and shifting “heritage of memory” of the attack and people’s individual and collective response to it. Last year’s attack on Manchester Arena saw the city’s worst of times. 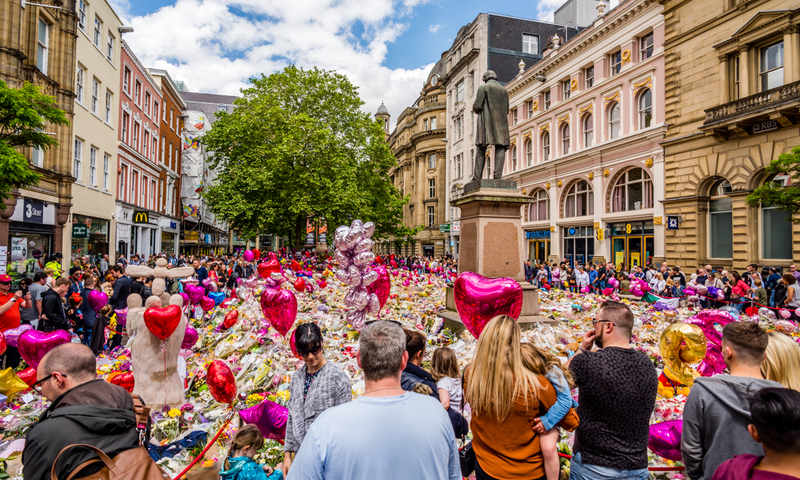 But in St Ann’s Square, we saw the public stand shoulder to shoulder with those who had been affected; an act of impressive solidarity that signified our refusal to give in to hatred. I am glad that those expressions of solidarity will be preserved and kept – they are now part of Manchester’s rich history and we should remember and reflect upon them. The development of a public digital archive will allow the engagement with different people and communities in Manchester (and beyond) in interpreting and contextualising the archive via oral testimonies and user-generated digital content, such as annotations, tagging, images and video. By undertaking a co-produced and collaborative approach to this contemporary collecting, the project aims to engage audiences in creating and interpreting the archive, and articulating its value, relevance and use for different people and for different purposes. Archives+ core purpose is to tell the story of our incredible city and the people who live here, through both good and more challenging times. The spontaneous memorial in St. Ann’s Square was the voice of Manchester – its pain and shock, but also its resilience and love. This project will allow us to explore the impact on the city and all those affected. It will increase our understanding of the power of collecting contemporary archives and to share this learning.